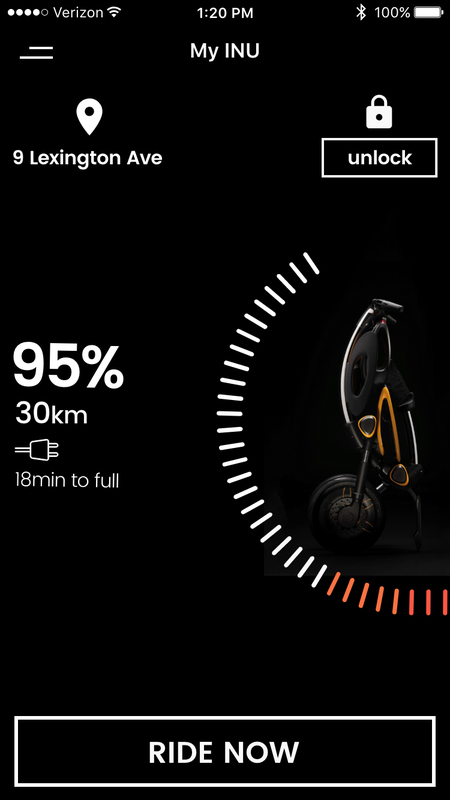 INU is a connected electric scooter designed for urban transport. Our team at Zemingo designed and developed INU’s digital touch points - from its mobile apps to the handlebar’s dashboard. We kicked off the project using storytelling to illustrate the relationship between INU and the customers, to better understand what motivates or discourages people in each stage of the journey. How can we design a mobile app that seamlessly extends the rider's physical dashboard? This is me taking the INU for multiple usability rides, examining the riders' vital aspects such as data legibility (day and night), visual representation, cognitive capabilities, and safety. 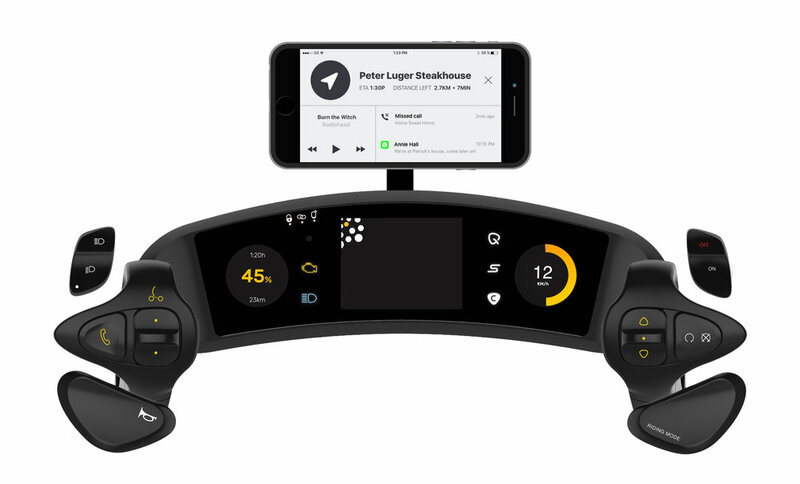 Then, our team collaborated with industrial designers, providing insights from the research phase and working together to improve the harmony between the physical and digital components to create a unified dashboard. The fill indication of the compass shows the rider's proximity to the destination. The "close" button is big and left positioned to enable easy finger-tapping while riding. This screen raises the rider's awareness of the most valuable indications while riding (navigation, communication, and media) and enable quick and easy actions when necessary. These gauges screen presents performance indicators in addition to the ones shown on the physical handlebar: motor power, efficiency, acceleration, throttle gain, and steep angle. How can we design a home screen that shows the current status of INU and providing a clear CTA button to start riding? My INU home screen provides essential indications of INU: its Battery level, riding range, charging indication, current location, and lock status. The main CTA button of the Home screen is, of course, the "Ride Now" button, allowing the user to quickly start riding INU with a single tap. We also tested out an alternative navigation component compared to the clean appearance of the hamburger menu. This screen contains a native iOS tab bar allowing the user to navigate from one key section to another rapidly.